The recent Android Oreo update for Oneplus 5 and Oneplus5T mobile phones have disabled inbuilt Audio Tuner for Bluetooth headphones, Bluetooth earphones & Bluetooth external speakers. 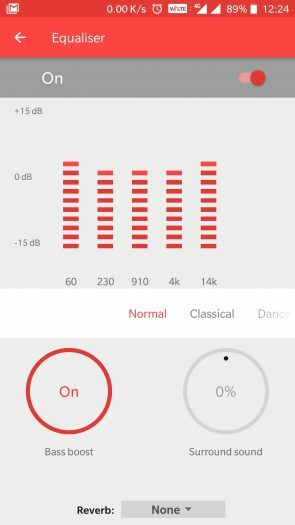 To overcome this problem Oneplus 5 and Oneplus5T mobile users can use Snapdragon's Music player and MusicFX (Audio+) application. The MusicFX can be used as a replacement for Audio Tuner which supports Bluetooth and most of the system wide applications. 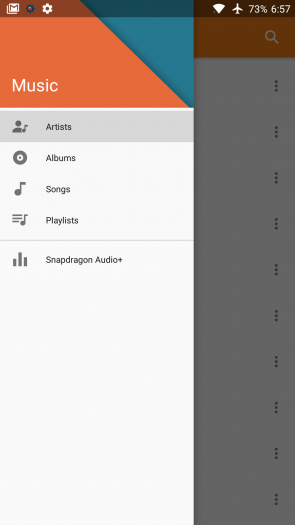 Click here to download Snapdragon Music version 8.0 APK. Most of the music players including Google Play Music supports MusicFX as audio tuner. The Snapdragon's Music player and MusicFX (Audio+) android application also works on most of the mobiles having Snapdragon processor. You may try installing and report to us in the comment section.